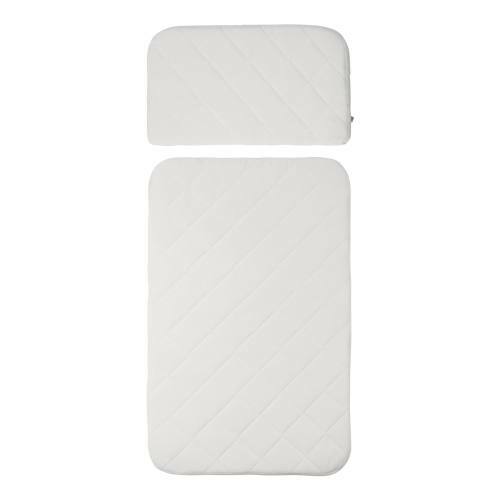 This lovely thick mattress has been specially designed for the Kili cot and junior bed. The mattress, with rounded corners fits the curved shape perfectly. It is made from Oeko-Tex certified cold foam with a layer of linen on both sides, which helps to absorb and direct moisture away. The cover is made from 100% cotton which can be removed and washed at 60ºC. The mattress comes in 2 parts; a baby mattress for the cot and an additional extension mattress which is used when the bed is pulled out and used as a junior bed.